Why Hire A Professional Window Washing Company? Professional window washing service is a sound investment. It has a long list of benefits, which serves both commercial and residential buyers. A word-of-caution to all buyers of professional window washing service is to hire someone who owns and runs the operation. A professional window washing company offers an eclectic range of services. They’ve got the equipment and tools to do a terrific job. They’re capable of taking extra care of the hard-to-reach areas. Another advantage is that the owner/operator will dispatch a crew consisting of experienced, knowledgeable window cleaners. Professionals have at least three years of experience, in window treatment and care. It’s imperative that a buyer invests in a registered, established company with a minimum of three years in the industry, and well-trained contractors. Liability insurance is an asset which a registered window washing company offers to their customers. If an accident should occur on the part of their employee’s carelessness, having the damages covered, shouldn’t pose a problem. A professional window washing company makes preparation for such accidents to guarantee that their customers are safe and satisfied. A professional window washing company, seldom use subcontractors for their projects. If they’re subcontracting, it’s imperative that they employ board-certified professionals and have liability insurance. Most companies offering professional window washing are a member of an established association. This is to make sure that their specialty spans the latest cleaning techniques and products. These days, window cleaners are using eco-label products and advanced equipment to complete jobs quickly. It’s essential that a professional window washing company has unbiased customer reviews as a reference. This is an asset to learn about their services and effectiveness when cleaning windows. Sometimes these companies offer free consultation, and an estimate based on the services a customer need. Professional window washers are known for their carefulness and ethical practice on the job. Besides getting quality for an affordable price, a buyer needs a reliable candidate whom they can trust. It’s not the easiest search, but buyers who know what they want, shouldn’t find the task too daunting. Another advantage of choosing a professional window washing company is that their workers are knowledgeable, and has extensive background cleaning different glass types, including tempered glass. This type needs the hands of a specialist who knows how to care for tempered glass and other delicate types. There’s no need to hire someone who’s capable of doing an ordinary clean, which leaves scratches on windows and sills undone. First-time customer discounts are a popular service, which a professional window washing company offers. It doesn’t matter if a professional window washing specialist, use the automated or manual method to wash windows; they offer hands-on scrubbing. The main concern is that a customer receives the best-in-class window cleaning service. It’s not so much about the system being used, but the cleaners’ level of competence, knowledge, hands-on experience and commitment to give quality cleaning service. It’s essential that a buyer of window cleaning services research the company offering contractors for hire, before entering an agreement. Window cleaning is a career which calls for professionalism and industry experience. For this reason, a buyer should exercise prudence when hiring someone. It’s a safety measure to certify that they get the right fit or team for the job. In the past few years, window washing has seen paramount improvements in theoretical and practical standards. A brand whose employees are aware of the changes, makes an excellent candidate. A few homeowners and business operators acknowledge the importance of having clean windows. It’s something which everybody should explore as it’s a beneficial undertaking. 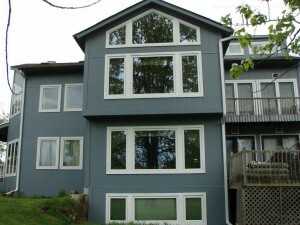 It enhances the look of the surroundings and gives the windows an extended lifespan.